Kevin Collington(USA) and Jarrod Shoemaker (USA) both hail from ITU (Olympic-distance, draft-format) racing backgrounds. Collington, a collegiate swimmer, has found his niche in long-course triathlon, scoring a U.S. Pro Championship title in 2013 and earning multiple podium finishes. 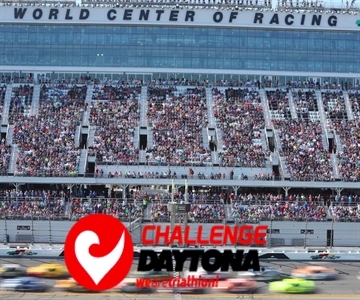 Shoemaker, an Olympian and multi-time World and U.S. National Champion in ITU triathlon and duathlon, known best for his run prowess, is sure to turn in a blistering half marathon at CHALLENGE DAYTONA. Adding interest to the men’s field is Dylan McNeice (NZL). McNeice is no stranger to victory at CHALLENGE FAMILY events, owning numerous titles including CHALLENGE WANAKA Champion and CHALLENGE TAIWAN Champion. Either McNeice or Potts, both supremely swift swimmers, are likely to celebrate being first out of the water at Daytona International Speedway’s Lake Lloyd. Another CHALLENGEFAMILY race regular is Pieter Heemeryck (BEL), victorious at CHALLENGE GERAARDSBERGEN and CHALLENGE SARDINIA 2018 and also in the running for a top finish in the 2018 CHALLENGE FAMILY World Bonus ranking. Another phenom among the professional women is Lisa Roberts (USA), a former collegiate cross-country and track star who now claims four full-distance triathlon titles, including CHALLENGE VENICE. Roberts is a frequent CHALLENGE FAMILY competitor, currently ranked third in the 2018 CHALLENGE FAMILY World Bonus standings. Pro Kelly O'Mara (USA) joined the professional ranks in 2017 after scoring the overall amateur women's victory at the storied Wildflower Triathlon in 2016. She now balances her time between training, racing, and reporting for numerous media outlets, including Triathlete Magazine.